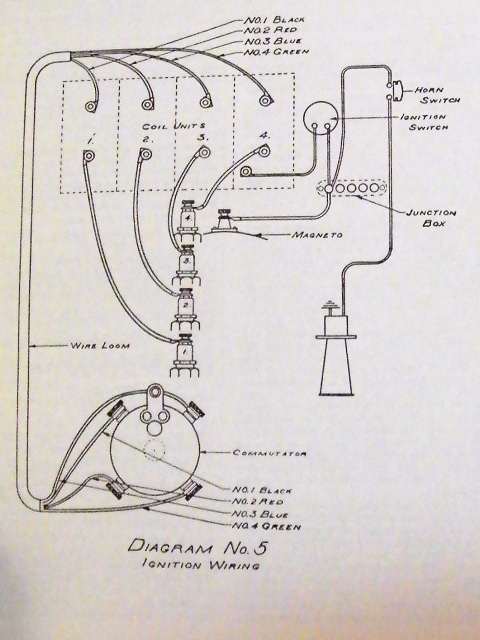 This drawing shows proper location and colors of the wires leading from the timer to the coil box. The Model T Ford roller timer is the most reliable and best performing timer available for your car. Please do not take this to mean any roller timer or every roller timer. There are some very useless reproduction timers both current and from the past. The ones that work well are those made by Ford, and a few of the replacement brands such as Bull Dog and old stock Tiger timers. There used to be some awesome reproduction roller timers made by Howard Cascia, but since his death several years ago there have not been any good replacement roller timers made by anyone. 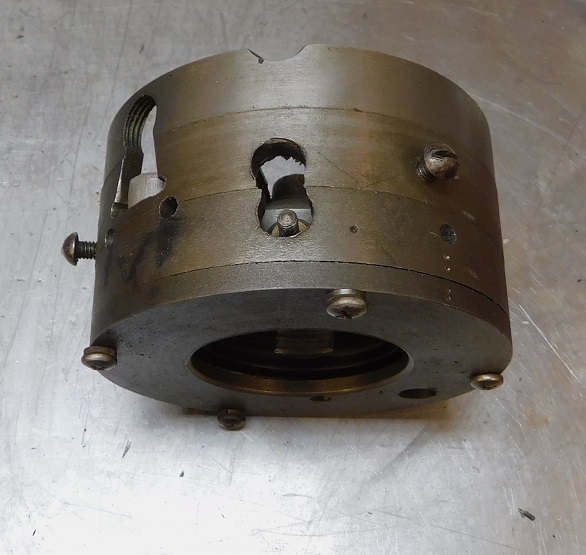 Let’s take a look at what it takes to repair a roller timer that has been damaged by lack of lubrication. 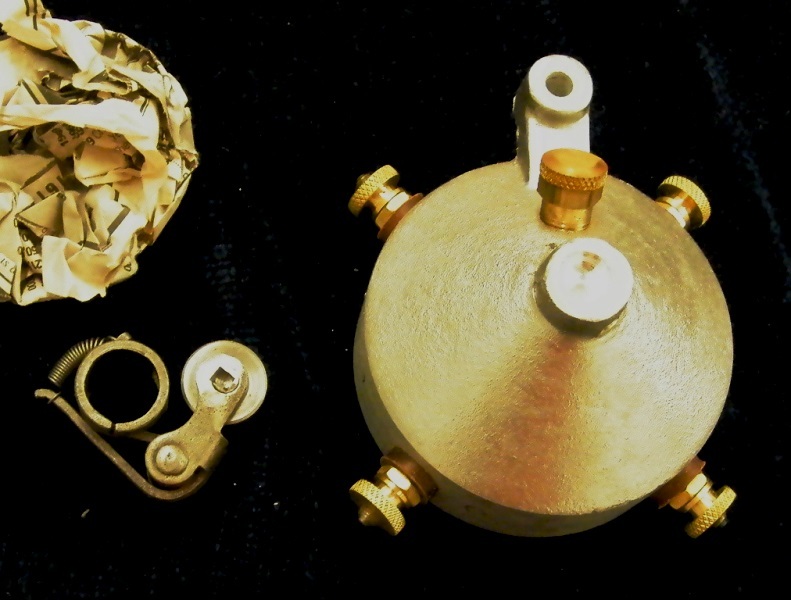 Above, reproduction “1913 – 1915” style aluminum timer made by Howard Cascia. Howard also manufactured two piece brass timers for 1909 – 1911, and refurbished any original timer using new phenolic and contacts. A great craftsman, he is missed. 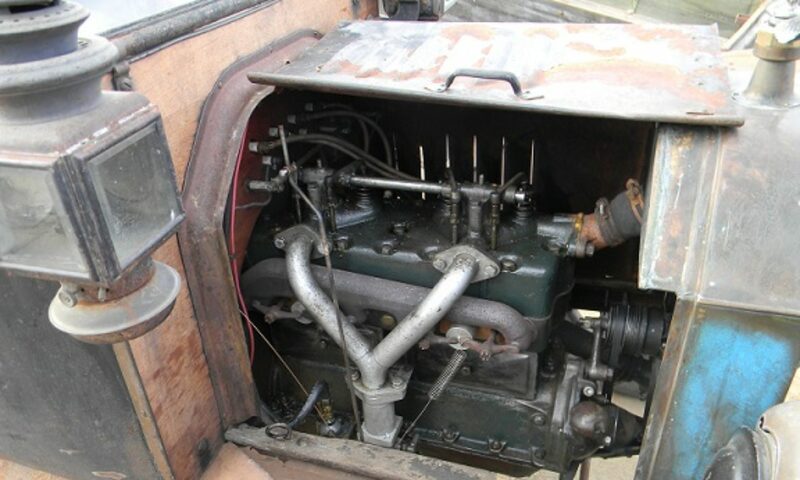 Through the years there have been many myths and mysteries surrounding the Model T Ford ignition system. It is, as Ron Patterson famously says, “a trap for logical minds”, as it seems both overly simple and at the same time impossibly complex. 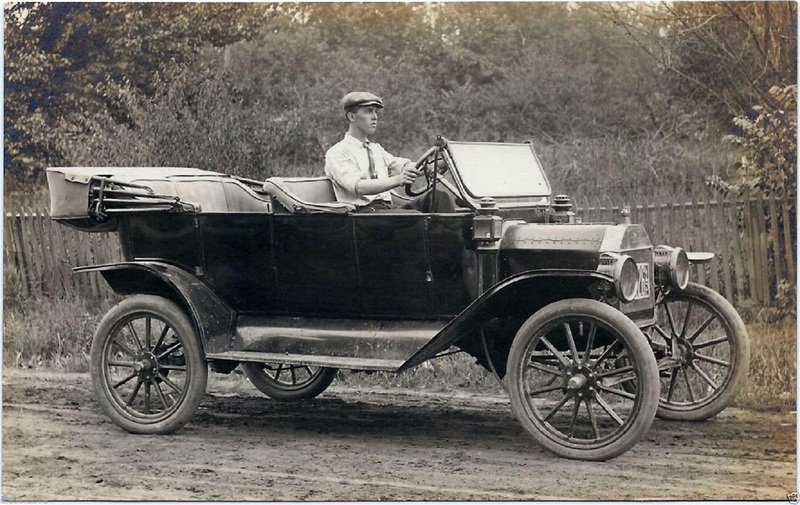 Yet the Model T ignition system has over the past century plus of use proven itself to be remarkably reliable, efficient, and effective compared to its contemporary peers. When the timer is operating on battery the ignition event timing is determined by the timer. When the roller first contacts one of the terminals it completes the circuit to that particular coil by providing a ground (earth to those of you who are subjects of the crown). For this reason installation of any timer that is not previously timed to the engine requires careful setting of the timer This depends on the position of the timer when the spark lever is moved fully “up” or retarded. Spark must occur a few degrees past TDC when the engine is on the power stroke. DC (battery / generator) power is only used for starting the engine or as a “limp home” mode. When the timer is operating on magneto the timing event is no longer controlled precisely by the timer. In this case the timer is only part of the equation. The magneto output, being AC current, provides voltage that rises and falls as the engine rotates. The timer must maintain contact throughout this process for the coil to be adequately powered. The coil will fire at the appropriate time when it has reached its peak power level. Each coil must be synchronized to discharge at the same time with the same amount of AC power, otherwise one or more cylinders will fire at odd intervals, and power output of the engine will suffer greatly. 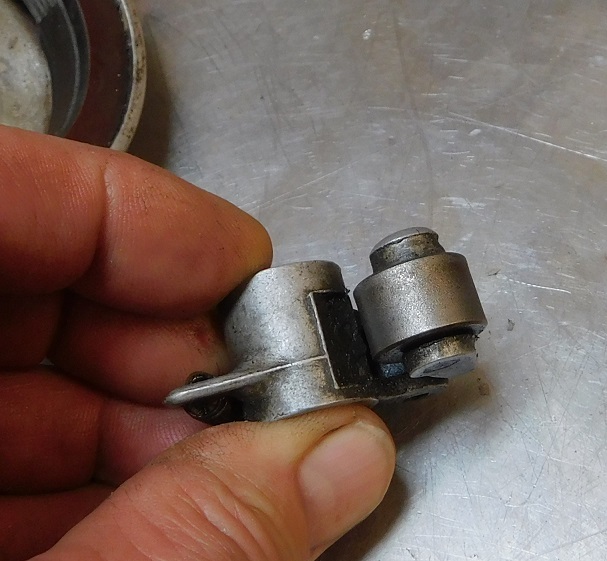 The timer must therefore have clean, smooth internal contacts and the contacts must not be eroded at either end for the spark to be consistent. The roller must be smooth and the spring tension of the roller must not be too great or too little. The timer must be adequately lubricated to provide long life for the roller and contacts. 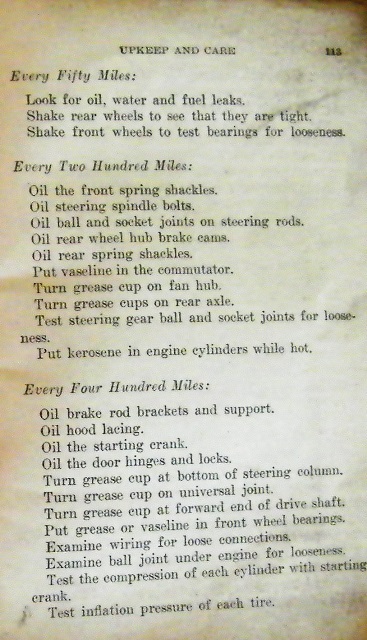 From a 1914 service handbook we see the recommended timer service is packing the timer with Vaseline every two hundred miles. Most owners ignored this, and so many timers were only lubricated by oil that escaped from the felt seal behind the timer. Fortunately this seems to have (unintentionally) provided a decent amount of lubrication, while also creating a oily mess under the hood of many Model T’s. In the last 50 years Model T hobbyists have often installed a “modern” neoprene seal on the camshaft. This keeps the engine compartment clean, but it also makes timer lubrication much more critical; because there is now no way for the timer to get lubrication other than intentionally. 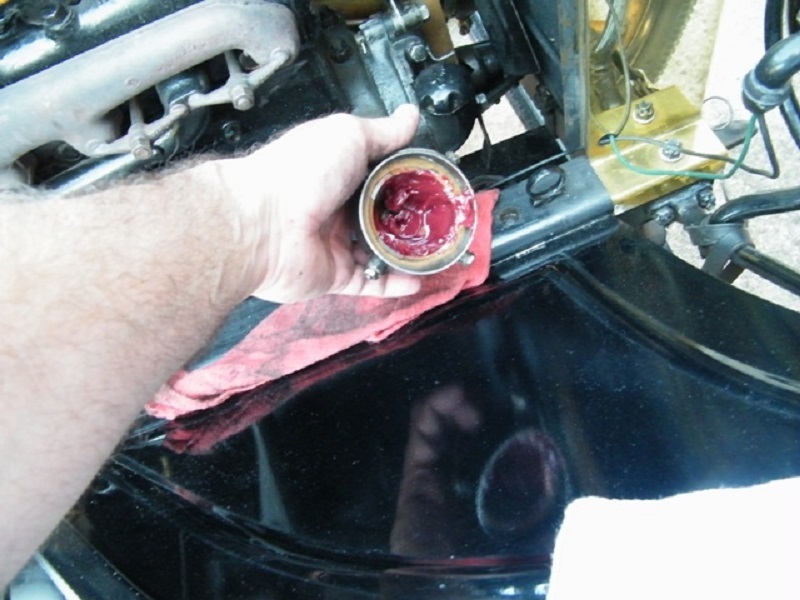 Luckily there are now modern lubricants that are far superior to Vaseline for timer lubrication. Mobil #28 is one of many modern (if 50 years old can be considered “modern”)synthetic red greases that can be used for timer lubrication. 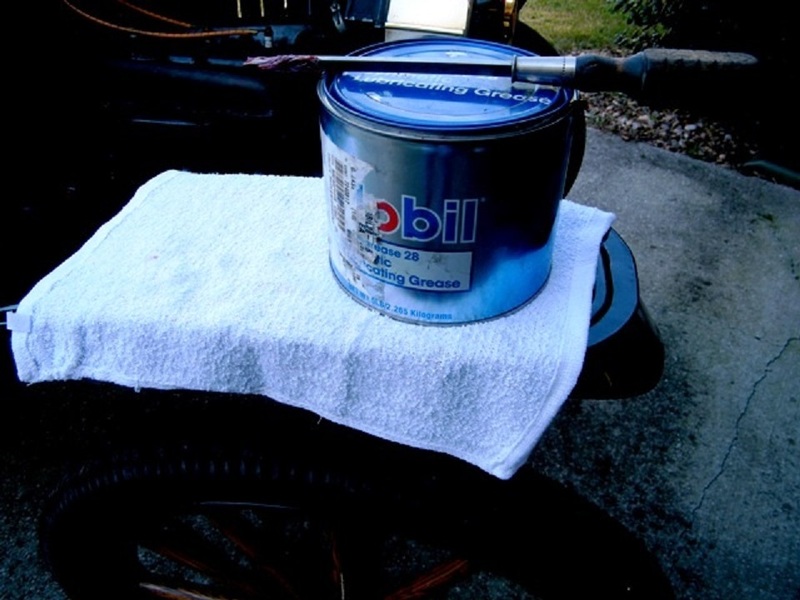 Also popular among T hobbyists are Lucas “Red and Tacky” grease, and Mobil 1 red synthetic grease. Any of these will provide many tens of thousands of miles without any noticeable wear of the timer, and a reliable spark. The timer that we are servicing today is a reproduction made by Howard Cascia sometime in the 1990’s – 2010 era. We can see fairly deep scoring on the metal contacts and the phenolic inside the timer. These grooves in the contacts lessen the contact area and will affect performance, particularly on “MAG”. 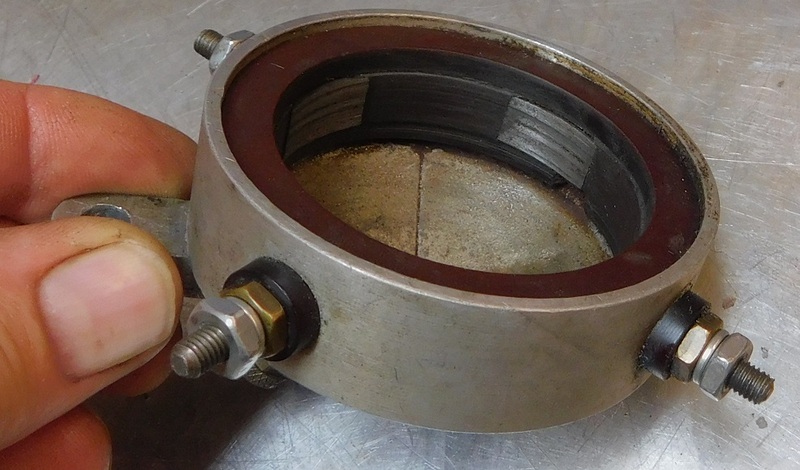 The grooving is caused by insufficient lubrication as detailed above. This roller was with the timer shown above. The roller does not have the same wear pattern as the timer, in fact it looks pristine. It needs only a good cleaning to go back into service. This is a reproduction roller made some time in the past 30 years. It has some wear on the axle which should not affect operation. 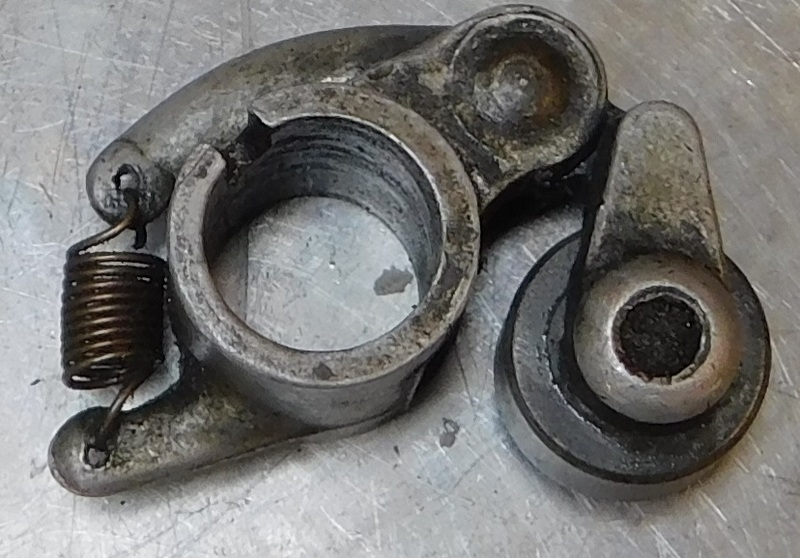 Front view of the roller shows dirt and grease deposits. Spring action is appropriate and smooth. The roller spins smoothly on its axle. We will just give it a bath with some spray carburetor cleaner and oil the roller axle. First we removed the wire terminal nuts, leaving only the nuts that secure the contacts to the timer body. 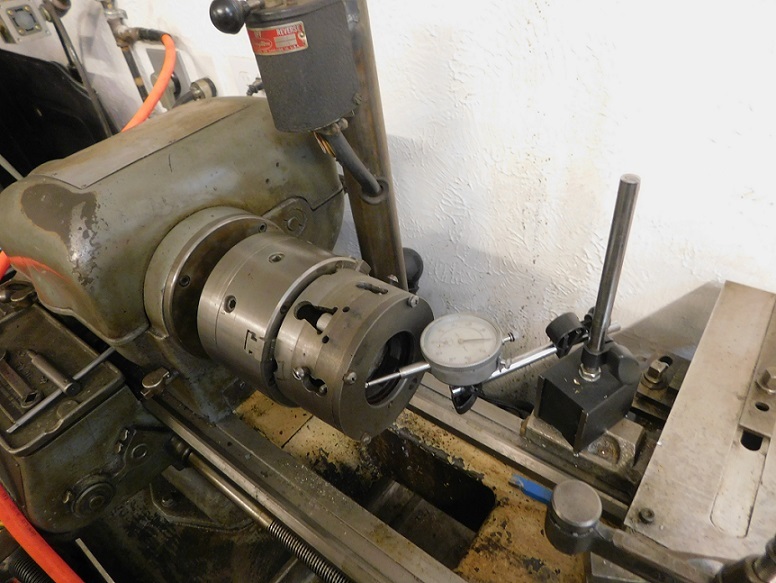 Then we clamp the timer in a fixture that will index the timer to our lathe. 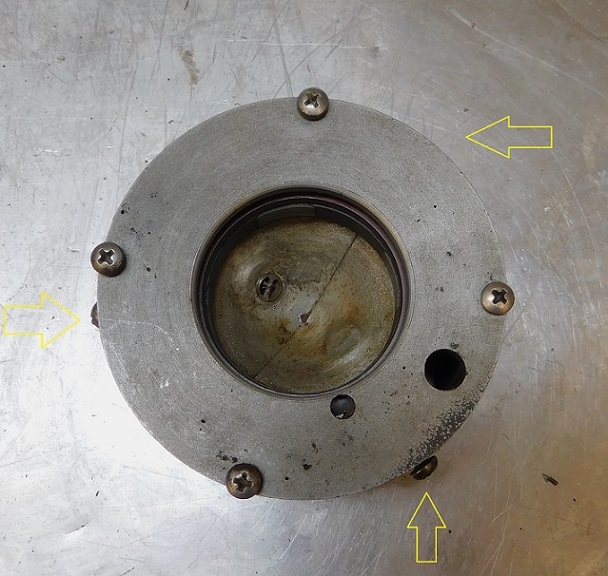 Arrows indicate the locations of the adjuster screws that are used to center the timer body in the fixture. The inner hole of the fixture is concentric with the outer diameter of the fixture and the inner diameter of the tubular fixture. All this is critical because at the end of the process the timer is located in the engine’s timing cover by its outer circumference. 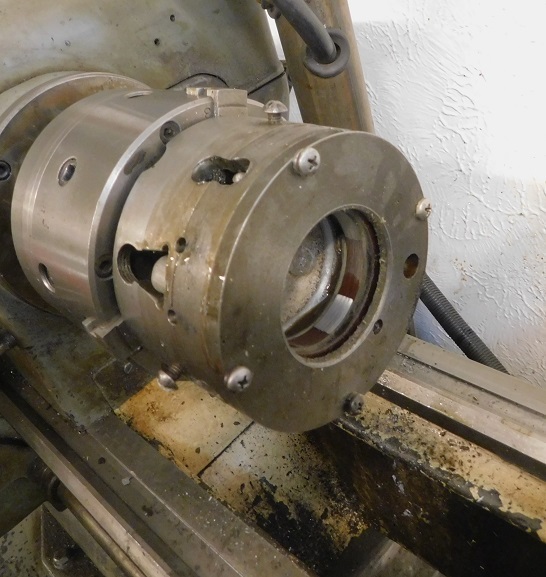 Any machining done to the inside of the timer must maintain concentricity with the outside body of the timer. Side view of the fixture showing clearance holes for the wire terminals and the timer control rod boss. More work to ensure the timer is centered in the tool. 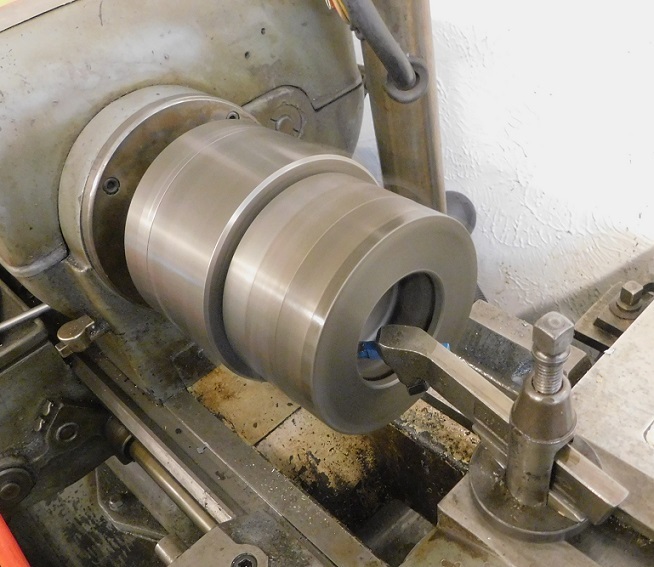 We use a magnetic base and a dial indicator to check centering of the timer while rotating the lathe by hand. It is within .002″ which is as fiddly as I want to get and well within reasonable tolerance. Any day that we get to use the lathe is a good day! We use a carbide tool mounted to the tool post to remove .010″ all the way around, being careful to keep it oiled while cutting. With the lathe stopped we wiped the shavings off to see that the contact area inside the timer is now smooth. 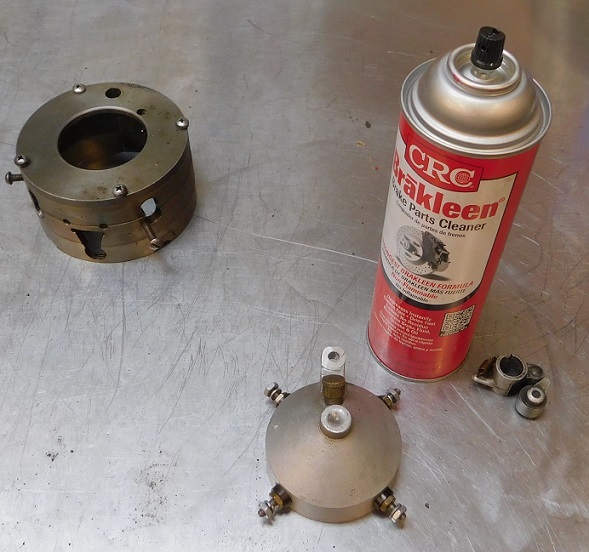 With the timer out of the fixture we clean it inside and out using Brakleen. I like this stuff because it does not have a heavy chemical odor and it cuts grease well. The high pressure spray gets into nooks and crannies that are hard to reach with a brush or a rag. 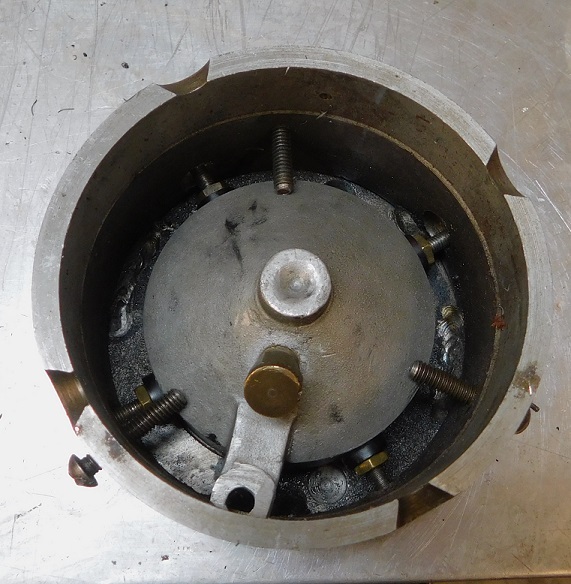 We cleaned the inside of the timer multiple times until there was no trace of old grease, dirt or metal shavings. It got cleaned again after I looked at this photo enlarged on my computer screen! The last thing before installation of any roller timer is to pack it with grease. In this case we used Mobil #28. 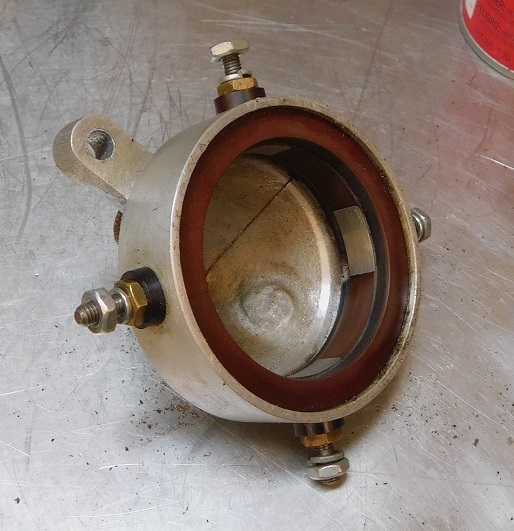 We recommend cleaning and inspecting the inside of the timer every 1000 miles, which also means replacing the grease. We have seen zero wear in over 30,000 miles. This guy doesn’t need timer trouble. Neither do you! Proper timer lubrication is the key to long lasting roller timers.